Turning to Internet services instead of in-house servers appeals to companies seeking lean, mobile operations. The "cloud" is a hot buzzword, but moving the bulk of your infrastructure and data there isn't right for every business. Most small companies plug along with a mix of on-site and off-site hardware and software. For some organizations, maintaining in-house servers is crucial. Case in point: The outage of Amazon's EC2 Web services in April stopped some of its small-business customers dead in their tracks, and caused others to reconsider shifting their nuts-and-bolts operations to the Internet. And Microsoft's Business Online Professional Services (BPOS) suffered outages last week. One appeal to cloud services is that a monthly fee generally takes care of everything. And they enable startups to get off the ground quickly. But if you have an existing stable of servers--no matter how hiccup-prone they may be--think twice before dumping them all. Throwing away hardware also means tossing your investments in it. Instead, you may be able to make nips and tucks that reap more from existing technology--and you can still lean on a combination of on-site and cloud services. Another advantage of cloud services is that a third party does the back-end work to meet the needs of a growing company. Yet on-site infrastructure can grow with you, too. If you purchase servers wisely, they won't necessarily become obsolete as business expands. Blade servers, for example, let you expand bit by modular bit. And virtualization can help you do more with less hardware--even if that means needing one new, beefy server to replace several older ones. Energy-efficient equipment paired with virtualization can keep down electricity bills. Almost every business needs to store shared files securely. Why stash your precious data offsite? Sure, cloud providers promise strict security. But hackers love to target systems billed as bulletproof, and sometimes they succeed. A large Internet company may have more cash and sophistication than your storefront shop to lock down data in far-flung locations. But when it comes down to it, the only way to know exactly where your data lives is to manage it yourself. That's also vital if you provide medical, legal, and financial services that must comply with strict federal and state laws. Moving critical operations online makes connectivity crucial. For a Delaware opera house (see case study, below), a cloud migration was out of the question. It already suffered frequent network and Internet outages. But with ticketing software running on Windows servers, customers nevertheless could call the box office and purchase seats even if the Web ordering system crashed. If that system lived strictly in the cloud, however, staff simply couldn't process orders during a connectivity hiccup. With all of the above said, moving infrastructure to the Internet is right for some companies--especially those starting from scratch. If you go that route, however, you must back up data and provide redundant local systems for critical applications and services, should an Internet outage strike. That, however, is a story for another column. The Grand Opera House in Wilmington, Del., suffered server and Internet downtime as well as sluggish network file transfer rates and printing. To cap it off, mobile functionality and remote access were limited. The nonprofit relies on technology to book shows and sell tickets, so downtime leads to lost sales. With internal network problems, shared drives are lost and file transfers are slow, hampering development of print advertising, press releases, grants, and fundraisers. The 50 employees were using 32 PCs, one Mac, and 10 servers. They relied on Windows 2003, Novell, and GroupWise servers, with Novell for file sharing and GroupWise for e-mail and shared calendars. The Windows 2003 servers enabled Tessitura ticketing software, remote access, and accounting. Two Microsoft SQL 05 servers held the ticketing system databases. One was a development server and the other a live server. Most of the servers were several years old, eating up space and electricity. Ticketing software required multiple servers for credit card-processing, serving seat maps, and interfacing with real-time Website booking. Shared calendar access was extremely limited when mobile, making it hard for senior staff to travel and book events. The core of the two-phase tech upgrade is to replace outdated hardware and move to new software for added mobile functionality. Pro Computer Service is replacing two Novell file servers with Microsoft file servers, and replacing a GroupWise e-mail server with a Microsoft Exchange 2010 Server. They're converting many existing Windows 2003 servers to virtual servers. The Windows 03 Server and SQL 05 servers will be upgraded to Windows 2008 R2 and SQL 2008 R2 to take advantage of 64-bit processing required for ticketing software. A new server with Microsoft Windows 2008 R2 Enterprise Server and Hyper V lets the opera house move the majority of its software to new hardware, making use of virtualization to save energy costs. Pro Computer Service also created an archive file server for older marketing materials and files. They added Symantec Backup Exec with multiple external hard drives and a 4TB NAS device. Before the overhaul, DNS and internal routing weren't configured properly, resulting in a slow network--with ISP failover provided by the same ISP. The opera house upgraded to Comcast Business Internet, with failover provided by a DSL line from another vendor. New, network-wide, 24/7 monitoring tools were installed to track backups, downtime, event logs, and hardware events. A GroupWise server was replaced by a virtual Exchange 2010 Server for e-mail, migrating 55GB of data with 35 e-mail boxes plus 12 shared calendars, resolving smartphone sync issues and providing stable Web based e-mail. File serving moved to a Windows 2008 R2 server. Pro Computer Service also corrected the disappearance of shared drives on the network using group policies, and increased file security based on groups and managers. 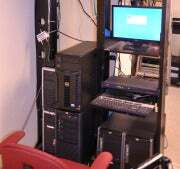 Pro Computer Service is also installing a second server with Microsoft Windows 2008 R2 Enterprise Server and Hyper V, as well as virtualizing two 03 Windows Servers, and building two virtual Windows 2008 R2 servers for an updated ticketing system. Using Microsoft's Hyper V, Pro Computer Service moved nine servers onto new hardware with more memory and much faster CPUs, improving performance. Reconfiguring the network and adding an ISP sped up Internet connectivity by five times, provided Internet failover, and doubled speed within the internal network. The Grand has a proper backup solution for the first time, and can better ensure the security of sensitive data. As a result of removing seven physical servers and redundant power supplies, cost savings in electricity and cooling could exceed $1000 per year. With remote monitoring technology, the opera house found it didn't need to replace a departing, full-time IT staff member. This will save around $18,000 per year, while the nonprofit can enjoy unlimited support and access to a team of IT professionals. The total cost of the tech overhaul is around $30,000. And Pro Computer Service offered a $500 monthly service discount to the opera house. The organization also enjoyed Microsoft discounts via the nonprofit TechSoup. 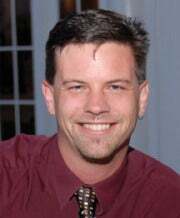 Jake Ruddy is the director of Delaware and Maryland services for Pro Computer Service, a 22-person IT firm. It services more than 2000 customers in five eastern states, using remote support technology to assist clients in more than 20 states. Pro Computer Service is a Gold Certified Microsoft Partner, with a team holding more than 25 combined certifications including from Cisco, Dell, and CompTIA.